Choices for having work done around your house or in your office are rather numerous these days. 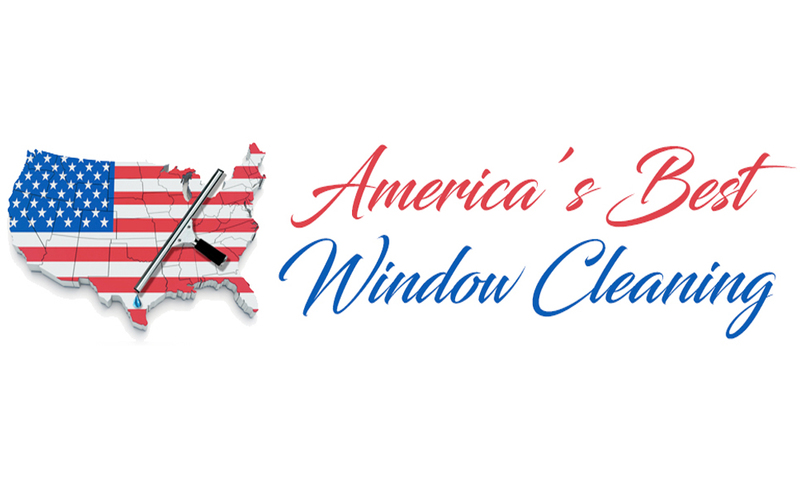 When you are considering window cleaning companies, you will learn about a multitude of choices you might make. However, it is important to remember that some factors will influence those choices as well. Searching for a provider for service of this kind can lead you to consider some different factors. You will find that there are many providers for varying jobs such as residential or commercial as well as interior or exterior. Deciding on the organization, you will use might depend on factors including cost as well as the availability of the workers. When planning for this type of work you will budget for the expense as well. Determining what the cost is likely to will require you get estimates or quotes from a provider to determine this number. If you are looking for the best price, you might want to request this from several providers to get the best cost. Picking a provider might be a matter of which organization is available for the work when it needs to be done. You can create a contract to have the work done regularly, or you might just call for the work when it is needed. Many times interior washing of windows will be done by your regular service along with other tasks. If you need the service provided for the exterior of your building, the cost is going to be influenced by how high the building is. For a building over two stories, there are special safety requirements that must be followed that can add to the cost. At the same time, you want the workers to be safe, so this will not be a factor in your decision other than the overall cost. When you are considering hiring window washing companies you have some things that you need to take into consideration. The overall cost of the project, of course, is going to be a factor. Also, there are many other things that you need to look at as well. The task of cleaning a home or an office is not as easy as some may assume. Some areas may need a deep cleaning on a daily basis, and numerous crucial chores must be done. If your schedules make it imperative for you to seek some assistance, it will be important for you to ascertain that you find the very best local professionals. Take time to embark on a research and evaluate a decent number of options before you make your final choice. Why Choose Waterfed Pole Window Washing? We use pure water that has been purified to wash your windows. We offer different services to ensure your windows are clean throughout the year. We are a nationally ranked brand and fully insured. All Waterfed Pole technicians are skilled in providing you with the best experience and service possible. All our window washing technicians are equipped with SimPole because they are the industry’s top quality pole. You can use our service with confidence because our exclusive Streak-Free Guarantee backs every window cleaning service. We use pure water that has undergone four processes of purification (Carbon Filter, Reverse Osmosis, and then De-Ionized filtration) that removes all dirt. We then use the purified water with brushes to ensure that your windows are thoroughly cleaned. Contact us for the best window cleaning services in town today. You might not have washed your business windows for ages, chances are that dirt, dust and grime are already building up on them. In this case, you need more than just your hands and clean clothes to clean them up. 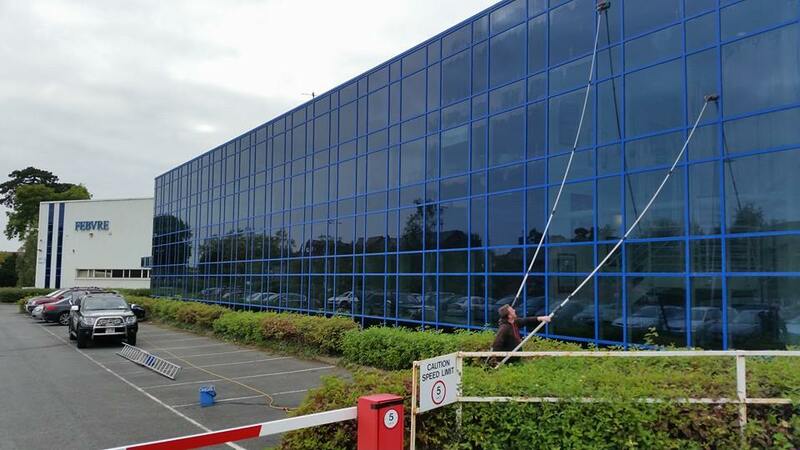 You will need the expertise of a commercial window cleaning company. How does a commercial window cleaning service work? Companies that are offering this type of service should be contracted and scheduled to complete the work. Your business will have to specify what type of work you want them to complete for your windows and business. The price for cleaning contracts varies and depends on the number of windows the company has to clean and cleaners who will handle the job. 1. Too busy to clean them yourself. Sometimes, because of a very busy business schedule, you’ve not much time to do the work yourself. You know that it needs to be done at a specific point in time, then you should hire a commercial window cleaning specialist for your windows. This is very helpful especially if you are expecting an important business associate or many visitors and you need to make a good impression of your work place. 2. Cleaning the windows yourself can be very dangerous. If you have many specially designed windows that are too high and awkward, you will need the services of commercial window cleaning company to have your windows cleaned on a regular basis. Professional window cleaners have special tools and gadgets that would make the cleaning much easier and safer all year round. 3. When the job gets massive and vast. When you need more than just a dirty cloth, soap and water or a rag to clean your windows, you should get some professional help. Major window cleaning companies have specially formulated cleaning tools that are compatible for all business windows. You would surely get excellent cleaning results at affordable prices. Save Time. Cleaning windows takes precious time out of your day you could be using to do more important tasks, specifically reaching higher ones and it takes far more time if you don’t use the right tools. A window cleaning company can provide you staff who are window experts and can finish the job far quicker than an average homeowner, they clean windows every day. The cleaners are also equipped with the right tools and have more effective cleaning products so they will achieve more high-quality results. 4. Save Money. If you want to learn how to clean windows with a streak-free appearance you can watch and observe the cleaners washing your windows from the start of the process till finish. If you do this on your own you will need to buy various professional window cleaning supplies such as ladders, extension poles, squeegees, static-free clothes, special cleaning solutions and more this can be costly and depending on the surface area, wasteful. Cleaning equipment is not cheap and in the long run, it may just be cheaper to hire the window cleaners and save yourself the hassle. 5. Save Effort. Windows are fragile and if you are cleaning it you must always check regularly to make sure they are not damaged to avoid injury. Professional cleaners can repair damaged or broken windows and you can actually save plenty on labor as they have package rates for this kind of situation. Instead of hiring a repairman to fix your window, you may want to give the task to your cleaner. This way, you will only deal with one company that can give you a bundle of services at a lower rate. Give yourself that required rest and focus more on your own business needs. You don’t have to tire yourself out from cleaning all your dirty windows. 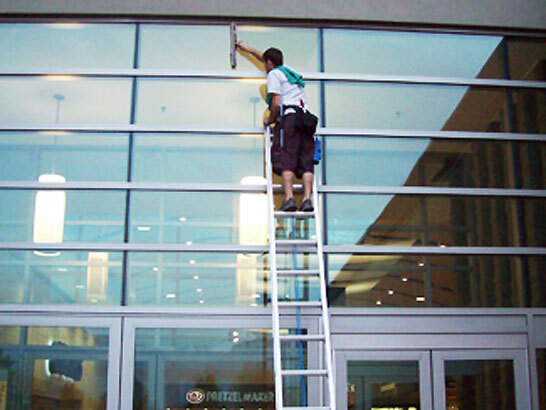 If you really want outstanding cleaning results, go and seek commercial window cleaning assistance. You can actually search for these companies online. So, try and get in touch with as many commercial window cleaning companies, so you can compare their service quotes, get track records and testimonials from their cleaning services and then decide from there which company you would be happy to do business with.